The rumor mill is ablaze right now as news about a new Deadmau5 album release quickly circulated. Talk of his newest album ‘Polar OST’ was the spark that set the world on fire. Because it was posted to a new Deadmau5 content Redit feed, fans everywhere are in a frenzy. Stampedes of Mau5trap junkies are scrambling to find a reputable streaming service willing to share it’s snippets. Coinciding with tomorrow’s US release is the premiere of the film ‘Polar: Came From the Cold’ which the album scores. News on that front has been quiet as well. That silence, though deafening cannot hush the rumble of fans chasing a new Deadmau5 release and it’s hype machine. Up to now, there isn’t even a peep coming out of Deadmau5 regarding this project in particular. And for the record, it should be noted that his website is currently being added to the ever growing list of peep free zones as of this writing. Whether ‘Polar OST’ or the issues he dealt with last October, are causing his seclusion remains to be seen. Forbes Magazine’s new Deadmau5 interview makes mention of ‘Polar’ with regard to its artistic aspirations. Although, his talk on abandonment of all social media sites is prevalent in the very same interview as well. 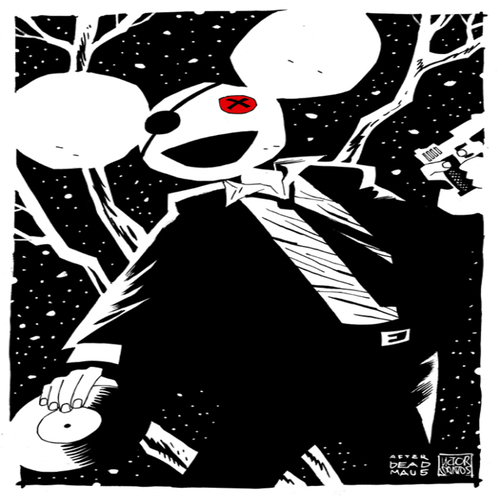 At this point, one can only speculate what tomorrow’s new Deadmau5 drop will bring. For now, set up your pre-save for the album on Spotify, iTunes, and Deezer. Or, you might even try following this curiously named link to a Feature.FM page offering more pre-save options. Regardless, you’ll have to just wait and see what treasures the Mau5trap will bring.